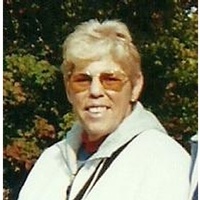 Ann R. “Muffet” Sheppard of Lakeland, Florida passed away Tuesday, January 22, 2019 at Good Shepherd Hospice in Lakeland. She was born April 20, 1943 in Chicago, Illinois to the late Charles G. and Virginia Rudderham. She has been a resident of the area for 7 years coming from Dothan, Alabama and formerly of Lake Wales. She was a Customer Service Representative and was of the Presbyterian faith. She is survived by her husband of 32 years Don Sheppard, daughters Kelly Bozeman of Naples, FL, Amy Lynn Bozeman of Virginia Beach, VA, son Beau Bozeman and wife Kim of Shady Grove, AL, step daughter Trinity Herrera of Jacksonville, FL, brother Mike Rudderham of Atlanta, GA, 2 grandchildren Cody and Carley, 2 step grandchildren Ian and Lilly.